How many travel reviews have you read where you have been told how ridiculously amazing, serene and perfect the holiday was? Or what about hotel reviews where the traveller came home renewed and refreshed and in a serene like zen? I know there is a well known formula for holiday reviews …. But alas dear reader this review is slightly different. This summer holiday taught me something different. This holiday taught me more about what I really like in a holiday. I love Cornwall. In fact we as a family adore Cornwall. There is something so enriching about the region. It is a place connect with yourself, with others and with nature. A trip to Cornwall was exactly what I was needing. A crazy first half of this year had left me more jaded than I can function properly on and some good old fashioned rest and recuperation was long overdue. We just needed to get the cheeky long drive out of the way. This was to be our second family holiday to Cornwall and when we started our journey we were thanking our lucky stars that we had clear drive down on the first day. We stopped off at a large global hotel chain that was ideally located half way between Edinburgh and St Ives. There was genuine excitement to get a nice big room with no-one sleeping on sofa beds, no squabbling because someone had stolen “too much duvet”, a welcome drink, a great breakfast and most importantly a good night sleep for the driver. Fast forward to us leaving the next morning after minimal and shocking sleep, a room that had a resting “air con” temp of 24.8 degrees and a midnight room change after finding blood stains and also with a questionable yellow stain half way down the sheets of one of the beds. Not the start of our holiday we were looking for is the politest way to describe our feelings. We were however keener than ever to complete the next part of our journey and reach our haven at Una St Ives. For me, Una St Ives reads to be so idyllic on paper but in person our luxurious and modern 4 bedroom villa home was so much more than we could have hoped for. As clichéd as it sounds the pictures on the booking site, Blue Chip Holidays, did not do it enough justice. This sustainable resort is simply more impressive in person than any picture could detail. In fact the details are what make this eco retreat so special. Una St Ives defines eco-luxe and is possibly one of the most Fifi Friendly properties I have ever stayed in. The developers have fused luxury and sustainable living seamlessly. On top of that, Una St Ives is perfectly located about a mile inland from the blue flag beach at Carbis Bay and approximately 2 miles from St Ives. As soon as we drove into the resort we knew it was going to be somewhere special. The grounds are festooned with wild flowers and each building is framed and clad with timber that was sustainably resourced in the UK. When it comes to insulation, all buildings are insulated with natural lambs’ wool and each villa has its own log burner….. (Sadly for us it was a little too warm outside to justify testing these out). There is also solar power throughout which provides hot water and electricity. One of the eco-friendly themes that stood out for me was the gorgeous sedum roof coverings. I think I have become a little obsessed with these. Not only do they look fairly cool but they enjoy a raft of environmental benefits. As well as thermal insulation properties (cooling in summer and warming in winter) these sedum roofs also help the building blend into their surrounding environment. 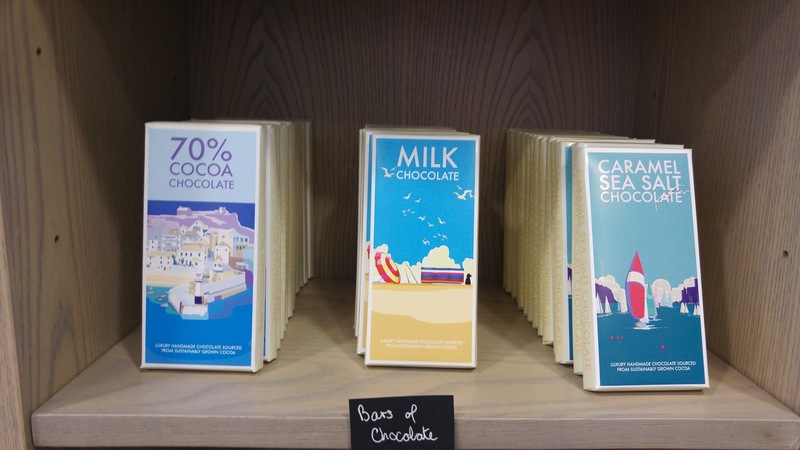 What makes Una St Ives so special? This place has pretty much everything right. These villas are incredibly comfortable. The beds, the pillows, the towels, the sofa and even the spring like carpet on the first floor were all first class. We were staying in Una 69 and my room had a perfect balcony for the morning sun. Such a wonderful place to wake up on your first morning and every morning thereafter. I also enjoyed taking in the night’s sky and stars from this vantage point. 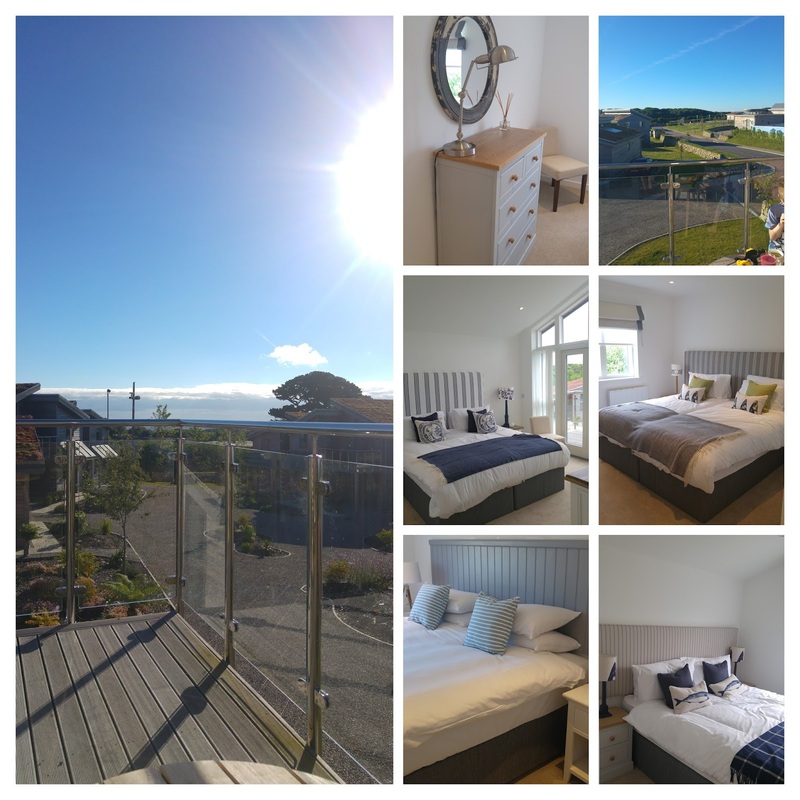 Una St Ives is a great place to forget the outside world, but if you don’t want to fully disconnect you will be glad to hear that our villa included 2 smart TVs, blue ray player and free Wi-Fi. The resort looks beautiful and feels safe and secure for your family. There are security gates that are opened by vehicle number plate recognition ….. How cool! It is clear that no expense has been spared in the interior design or the amenities here. All the beds were uber sleep inducing, orthopaedic and utterly divine. The kitchen was loaded with good quality crockery, cutlery, pans, glass teapot and everything down to a stainless steel juice squeezer. Amenities like detergent, dishwasher tablets and washing up liquid are provided. Sadly these were not sustainable or eco friendly brands, but this would be the only thing I would have to query. The 8 seater dining table was a great place for the family to convene for meal times. There was also a rear decked area with a large outdoor dining table complimented by a lovely large Weber BBQ. We put this to great use with freshly caught fish and the most amazing gluten free burgers that we bought at Trevaskis Farm. Sounding fairly perfect so far. Where does the review change? Well nothing to do with the stunning eco-friendly complex that Una St Ives is. Our family holiday changed when we woke up on our first morning in Cornwall and realised we needed to make an emergency doctor appointment for my son. 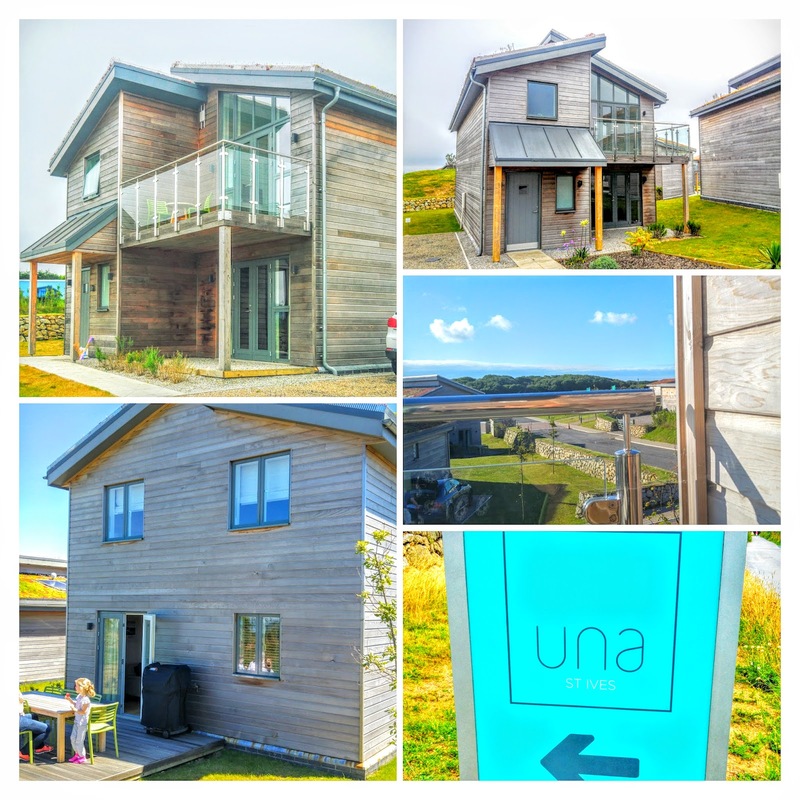 We were pleased that the team at Una St Ives had such a thorough and useful welcome pack that gave us every detail we might need ….including details about the local doctors surgery and its telephone number. Doctor seen, we continued our first day enjoying a trip to a local farm shop and also having a couple of hours at the stunning local azure like beaches. Sadly, our run of bad luck did not stop there and the next 3 days let us enjoy the local Accident and Emergency on the hottest day of the year, 2 trips to Truro’s Royal Cornwall Hospital Children’s Ward with my daughter and one emergency trip to the doctor for me. Four fairly draining days in we should have be been ready to go cut our loses and go home. Una St Ives saved the day on a number of levels. Firstly, we came home to such an oasis of calm each day. This resort has been designed to feel like we were coming home. We could relax. We felt cosseted. Each and every member of the staff we met at Una were a credit to the place. 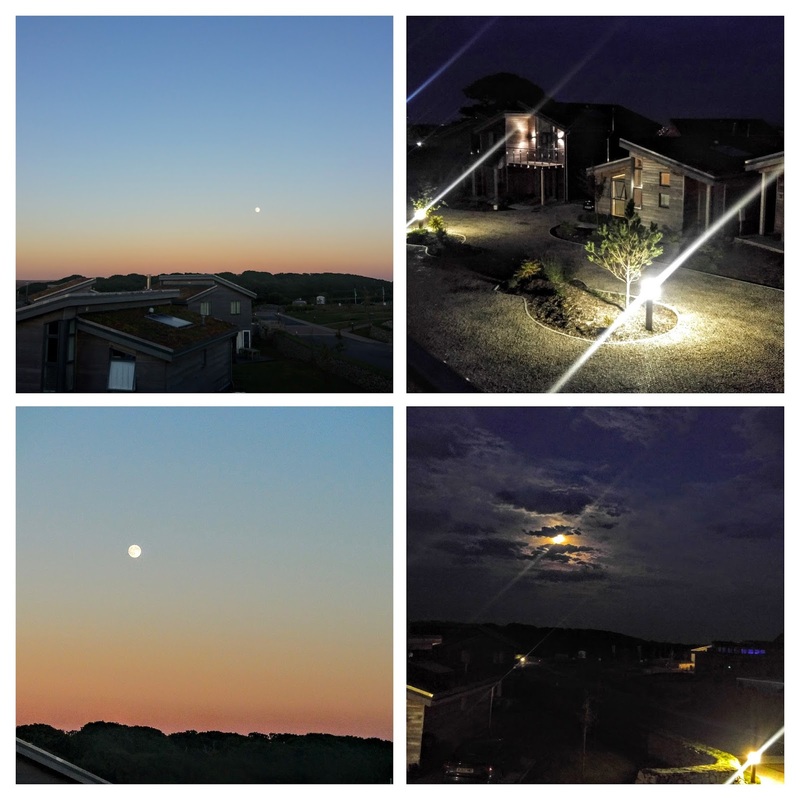 Given we were staying at the start of the school holidays, there was calm, Una runs like peaceful clockwork, there are genuine big smiles, wonderful customer service and superbly immaculate villas and main areas. Una St Ives is 5 star in every single aspect. I haven’t even got to mention the Made for Life Spa or Una Kitchen yet. For those of you who like to venture further afield Una St Ives is in close proximity to main roads and to explore the beautiful area. Locally you are close to the gorgeous Carbis Bay and St Ives. The nearby beaches were perfect for us as a family. Picture perfect and great for kids to visit. Una St Ives was also a great place to come back to at the end of the day. It is tranquil. We barely noticed the other families in the villas beside us. For me, Una St Ives is such a beautiful place to come and decompress. On our last day I was lucky enough to enjoy a heaven sent treatment at the onsite Made for Life Spa by Spiezia Organics. This place is such a haven of calm. Blissful. The list of relaxing treatments from Made for Life by Spiezia Organics was hard to choose from …. I only had time for 1 but wanted 4! Spiezia Organics are well known for their 100% organic oils and their sublime spa treatments that truly harness health and wellbeing. There will be a separate blog post all about that one but it is probably a great time to mention the onsite facilities that Una has. The Spa treatment rooms are part of an incredible leisure complex in the main building. This is quite frankly better than many 5 star hotel facilities that I have stayed in. The natural daylight lit infinity pool has a floor to ceiling window that looks out on a garden. The fabulous Jacuzzi, sauna and steam room are more also eco aware as and are timer activated so all you need to do is press a button before entering. My kids enjoyed the kid’s pool immensely on a number of days. It was the perfect depth for them especially as one is building their confidence in the water. There is also the Life Fitness Gym which is ideal for working out and perfectly air-conditioned. Behind the gorgeous main reception is a the Una Shop and Deli. We picked up so many great local produces here. Everything from postcards to clotted cream to cider to wine to chocolate to coffee to garlic salami to fresh fruit ice lollies to handmade dog biscuits that we took home for the dog. Sadly given our crazy week we only got to try the food Una Kitchen on our last day. 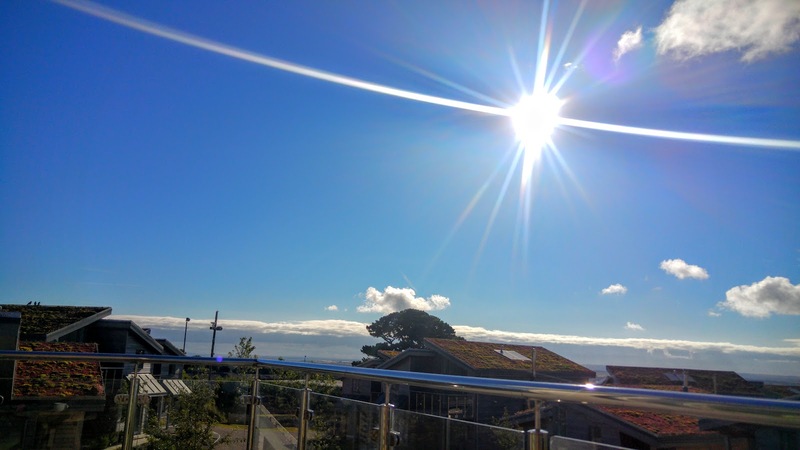 While I was at the Made for Life Spa …. Tough gig but one of us had to try it …. The family enjoyed breakfast and then lunch at the foodie friendly Una Kitchen. Slightly annoyingly while the kids spoke at high speed about the awesomeness of the buckwheat pancakes with fruit compote, yoghurt and honey, the bacon sandwich with tomato confit and the refreshing drinks …. They forgot to take any photos. Luckily by the time I came out of my 2 hour treatment it was time for lunch and I had my camera ready. My son pointed out he would take pictures next time …. Clever little thing is already planning his next trip. The local and seasonal based menu at Una Kitchen is great for. There are so many healthy and super tasty options. We thoroughly enjoyed our meals! The only thing I would have loved to have seen was for Una Kitchen to be open later in the day. I would have loved to have had an early dinner there for example. Big shout out to the friendly staff at Una Kitchen too. Funnily enough the kids …. After their inhalation of all the food put in front of them ….. Could not manage one of the cakes for pudding so we took one with us for the journey. My son adored that 3 out of the 4 cake stands were gluten free. The take away lemon polenta cake was a massive hit especially. For me this has been the best place to stay in Cornwall. This resort made an unbearable situation totally bearable. We love Una St Ives and were genuinely gutted to leave. After our week of family drama it would have been the best place to reconnect with ourselves and recharge. We promised to come back in a few months and get a chance to enjoy the genuine restorative effects of this place …. I for one wish I was there writing this. 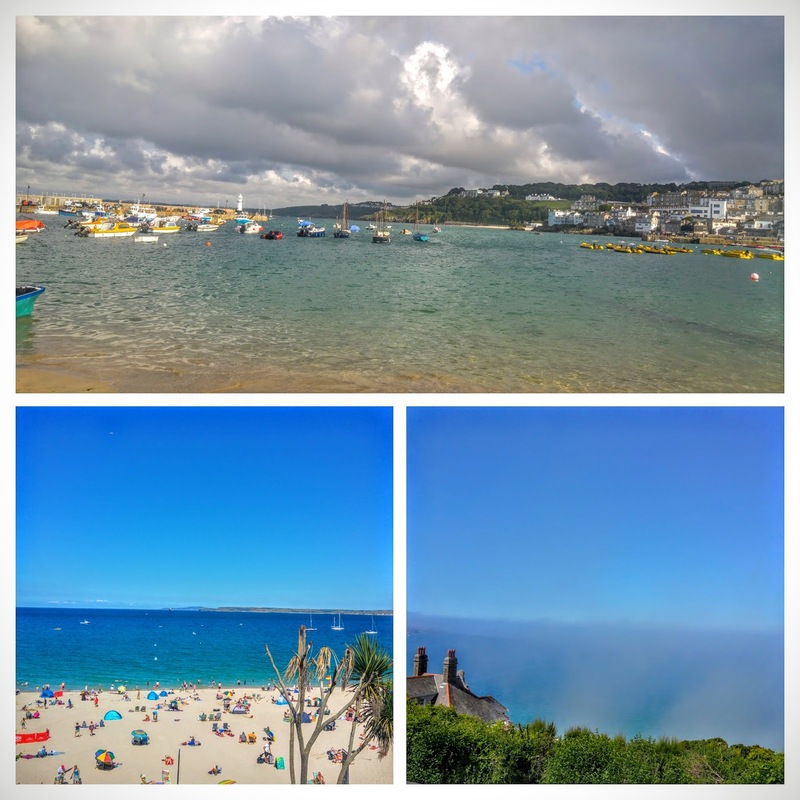 Una St Ives is so many things …. 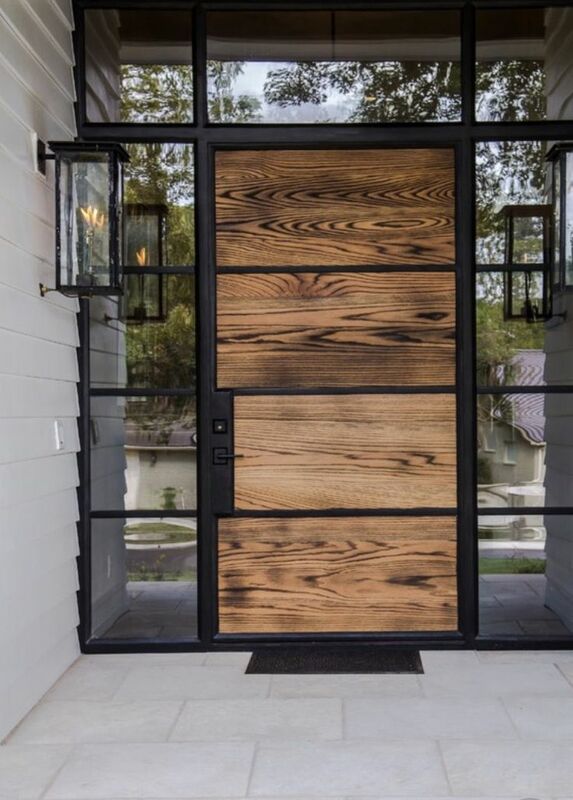 peaceful, luxurious, feels like a wonderful home from home and it stylishly blends into its natural surroundings. Una St Ives is designed to help you unwind. 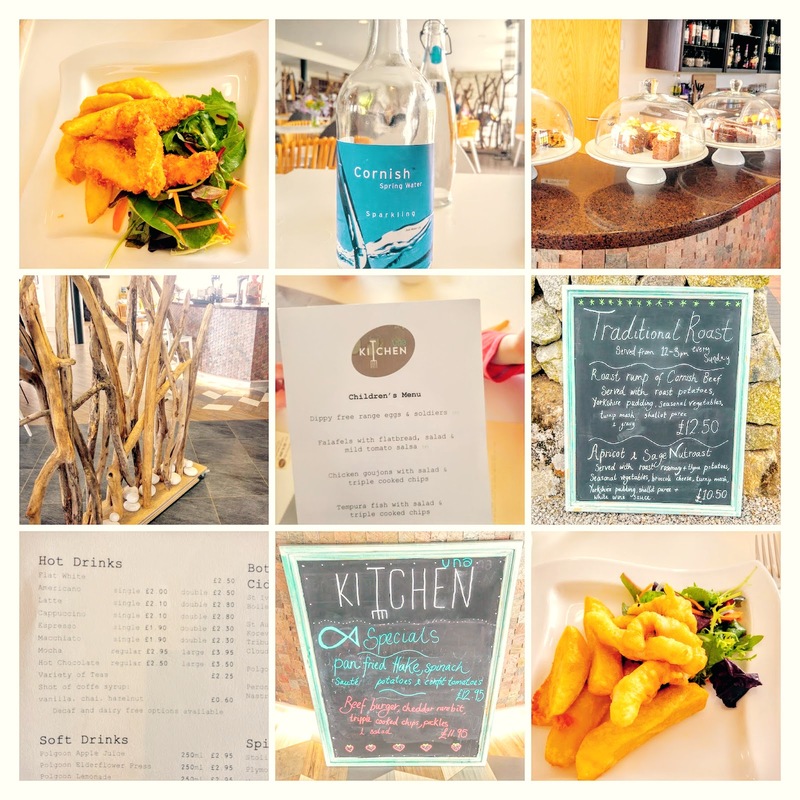 Una St Ives is exactly the kind of retreat I would want to stay at again …. and soon.